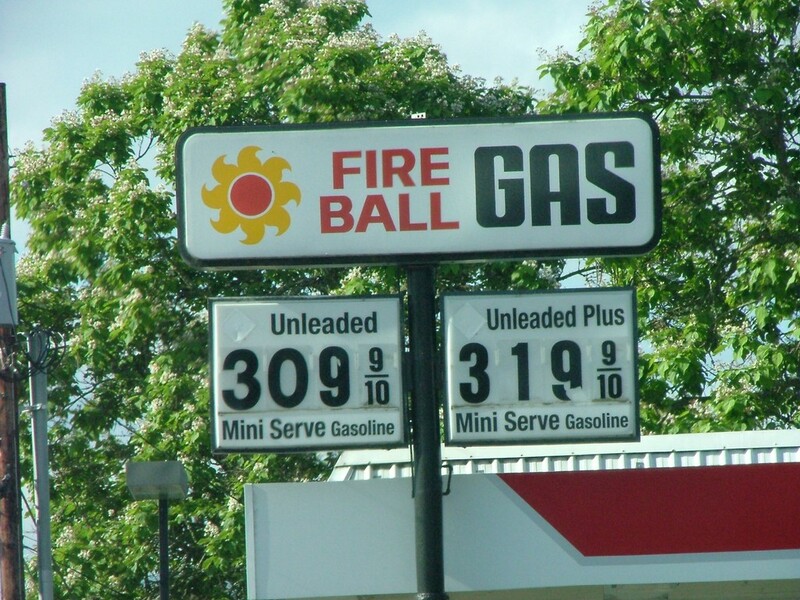 Fireball Gas sign in Grant's Pass, Oregon. Colvin Oil Company brand. Located at 1044 N.W. 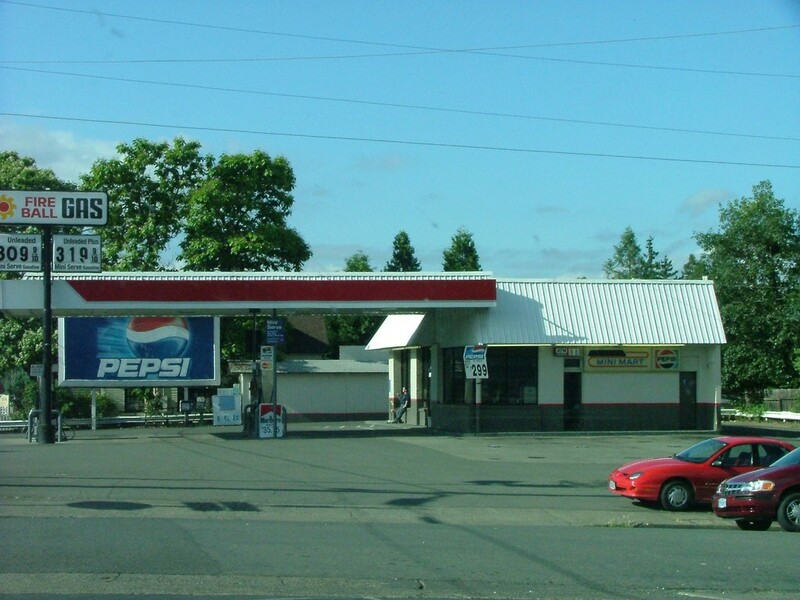 6th (Redwood Highway southbound), cross street N.W. Manzanita Ave.